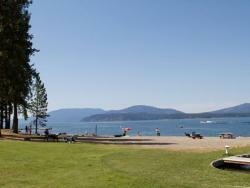 The best campground in the area located on the shores of Lake Pend Oreille. 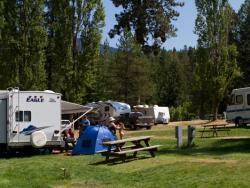 RV camping at its best. NOTE: When making a reservation this guarantees you a site at the Resort. Actual sites are assigned upon arrival. We do not reserve specific sites. Beyond Hope Resort is located within the Sam Owen Wildlife refuge and it is not uncommon to have deer and other wildlife in your camp area. There are many beautiful secondary roads that are great for walking and biking. 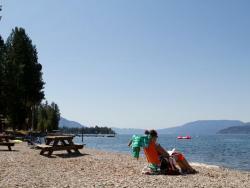 We also have a beach on the shores of beautiful Lake Pend Oreille. The restaurant, which is only steps away, has deck seating and serves lunch and dinner. 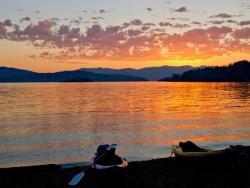 So reserve your spot today and enjoy some of the best scenery and hospitality in Northern Idaho. 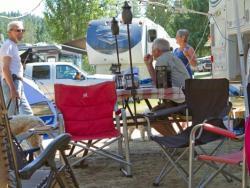 ($57 per night) The Beyond Hope RV Park has 70 sites for all sizes of RV's. 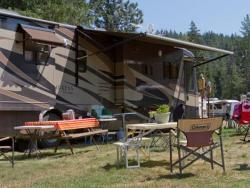 Currently, each leveled grass RV site has electric (30 amp) and water hook-ups, but NO SEWAGE. Sewage pump-out will be made available on a weekly basis. Each site has it's own picnic table. 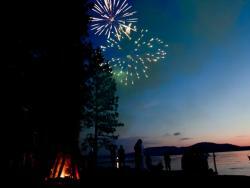 There are no firepits at RV sites but guests are welcome to bring their own. 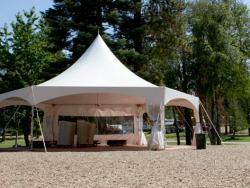 We allow 1 tent per RV Site. 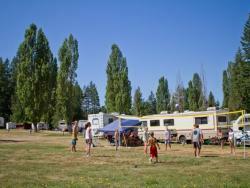 ($278 per night) Our Group RV Site accommodates many campers at once with six water and six 30 amp power hook ups. There is no sewer but pump out services are available. 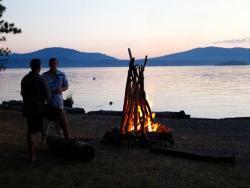 The group site also includes a large group fire pit and a spacious grassy common area. 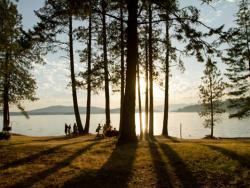 ($40 per night) 12 tent sites are available which can accommodate two tents per site and include a complementary fire pit and a picnic table. 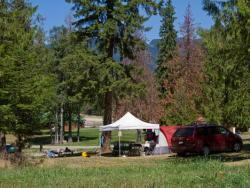 ($120 per night) Our Group Tent Site accommodates up to 8 tent sites in a common area. 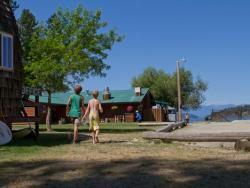 It includes water, 2 picnic tables and fire pit. 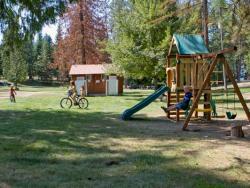 Our, highly rated restroom facilities are easily located and open to all guests. Laundry machines are coin operated accepting American quarters only.